Throwback Thursday? More like throwback everyday! The outstanding and extraordinary Nickelodeon is known for creating content that are masterpieces, whether it was in the 90’s with iconic shows like Hey Arnold!, Keenan & Kel, All That and more to its phenomenal shows we all love and enjoy watching on our TV screens now! Well, Nickelodeon has been bringing together new audiences and the generations who grew up watching these shows with various excitement from The Splat to their incredible announcement today, March 1, 2016! Nickelodeon just announced that the Legends of the Hidden Temple live-action TV movie has been given the greenlight! (Woohoo!) The incredible movie, which is based on the 90’s game show, will star the phenomenal, remarkable and sensational Nickelodeon veteran, Miss. Isabela Moner of Nickelodeon’s 100 Things To Do Before High School. 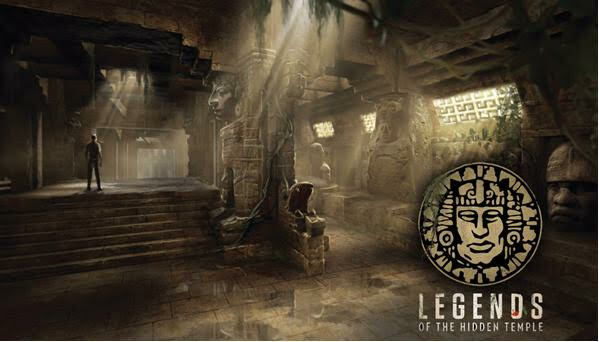 Legends of the Hidden Temple will start production in March. In addition to that marvelous excitement, Nickelodeon has everyone jumping with joy as a two-part Hey Arnold! movie has also been given the greenlight. The movie “… will pick up where the original series ended, resolving unanswered questions and plotlines, including Arnold finally getting answers about the whereabouts of his missing parents” (source: press release). The two-hour long TV movies are set to premiere in 2017. Cyma Zarghami, President, Viacom Kids and Family Group stated, “The greenlights for the Legends of the Hidden Temple and Hey Arnold! TV movies are terrific examples of how we are bringing our beloved content back to life both for new audiences and the generation that grew up on them. These TV movies will keep the spirit and essential themes of the original source materials intact, while branching out in new ways that will speak to and captivate today’s kids” (source: press release). What incredible news for fans to look forward to! Comment below and tell me or tweet me at @alexisjoyvipacc, are YOU excited for the Hey Arnold! movies? What about seeing Isabela Moner in Legends of the Hidden Temple? Previous Article: Kira Kosarin Recaps The Incredible Fashion Trends At The Oscars With Teen Vogue! Watch Here! Next Article: Nickelodeon And Carmelo Anthony Team Up With Macy’s For TMNT x Melo Line Out In May!